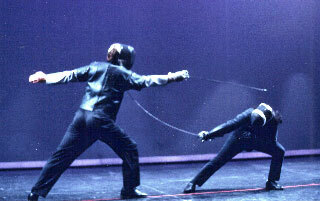 This 2-volume video set is offered in DVD format. 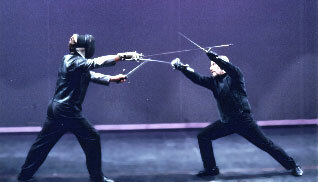 It is designed to present an introduction to the basics of Italian rapier fencing in a simple, comprehensible form, for the modern swordsman training without a master. It will provide the fundamentals from the accumulated knowledge of many Italian masters- distilled from the works of Alfieri, Capo Ferro, Bondi Di Masso, Giganti, Fabris, Marcelli, Pallavincini, and Senese. 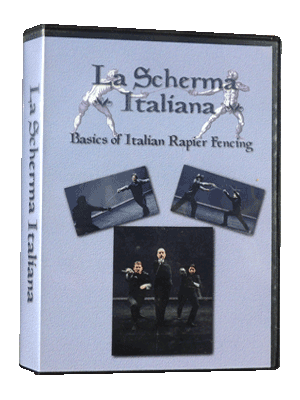 La Scherma Italiana is designed to give you a comprehensive vocabulary of the theory and practice of Italian rapier fencing as it existed in the 17th Century. 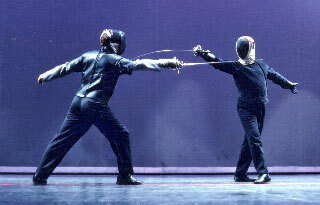 Maestro Ramón Martínez instructs you in short sequences (with the assistance of Maestro Jeannette Acosta-Martínez and Anthony De Longis), which include simple drills illustrating the techniques of La Scherma Italiana.